Onions are low on carbohydrates. Half a cup of chopped onions contains 26 calories and 5.9 grams of carbs. Type-2 diabetes is a side effect of consuming too many carbohydrates. Since onions are low in carbs, it will help diabetics. A low-carb diet can help you manage your blood sugar levels. Since onion is a low on carbs, you can add it to your diet. Onions are rich in fibre and beneficial for diabetics. Fibre slowly breaks down and gets digested, which leads to a slow release of sugar in the bloodstream. Eating fibre helps keep your bowels active and prevent constipation, a common problem among diabetics. A high-fibre diet also keeps your cholesterol levels in check, decreasing the risk of developing heart disease. Glycemic index evaluates the effect of a particular food on your blood glucose levels after you use it. 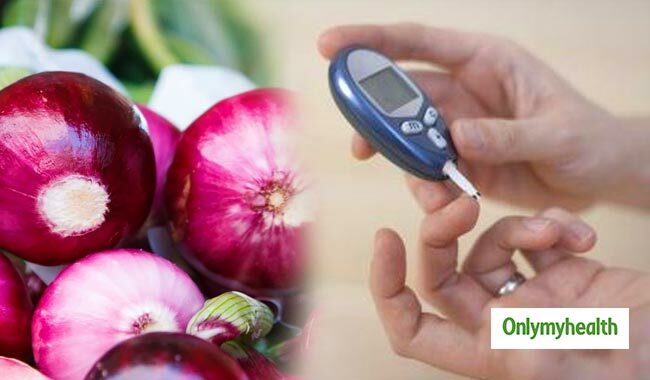 The glycemic index of onion is 10, which make it the perfect food for diabetics. Food with a lower glycemic index than 55 ensures a slow release of sugar in the bloodstream. Studies show that consuming vitamins and minerals can benefit those suffering from diabetes. Onions contain a decent amount of vitamin C – it is also rich in vitamins A and K, folate and niacin. Onions are loaded with minerals, including magnesium, zinc, potassium, iron and phosphorus. 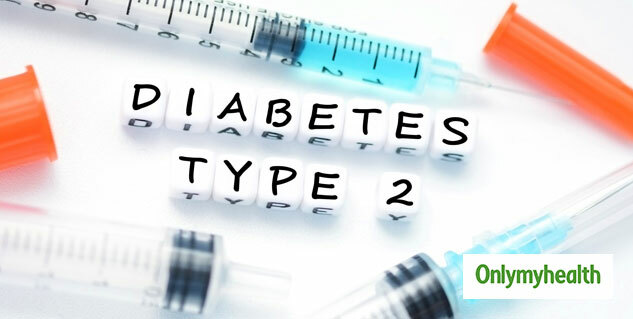 To prevent complications from diabetes, you must check and control your blood sugar levels. Maintaining low blood sugar levels will minimize the risk of diabetic complications. Diabetics should eat foods which are high in protein. The proteins help in maintaining energy levels and normalizing the wear and tear of the body by maintaining a high metabolic rate. People with diabetes must keep their blood pressure in check. High blood pressure can also lead to several diseases such as heart attack, kidney failure and eye diseases. Diabetes increases the blood flow in the feet, which leads to an increase in the chances to develop foot ulcers. It is advisable for diabetics to check their feet for wounds regularly. Diabetics must look out for eye problems. The disease can cause long-term accumulated damage to the small blood vessels in the retina. You must get your vision checked on a regular basis to avoid any complications. Who is at a risk of developing a diabetic eye?